Greg Morgan is our candidate for the Clayton and Whittle Ward which includes the east of Buckshaw Village. Greg Morgan is our 2019 candidate for Chorley's Clayton and Whittle Ward including Buckshaw Village east. Greg is currently Deputy Mayor on Chorley Council. Please let us know what really matters to you where you live in our quick 3 minute survey. 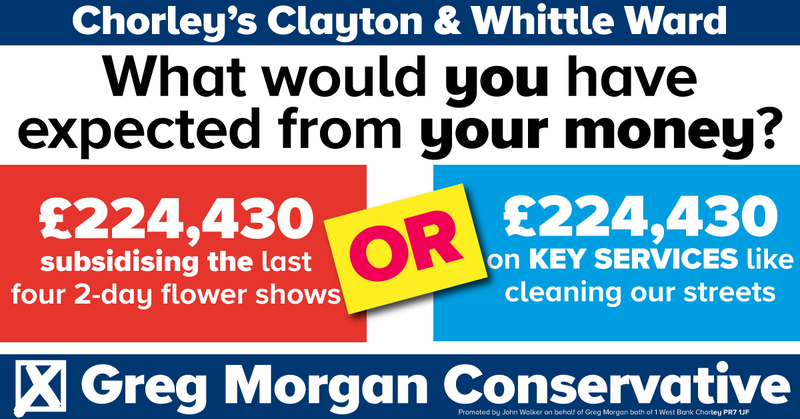 1.1 How satisfied are you with Chorley Borough Council? 1.2 Are there any local issues or concerns that you would like us to tackle? Please pick THREE from the following options.